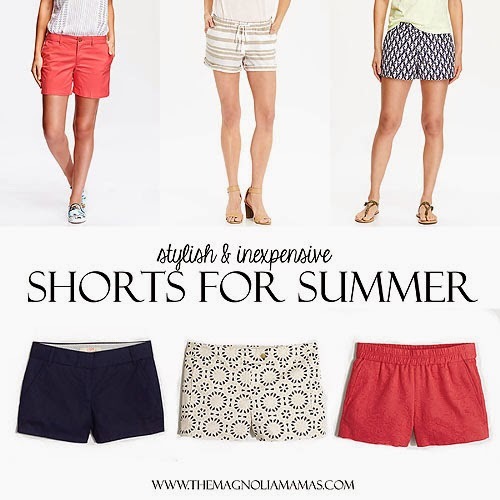 With summer on the horizon, and summer-like temps already, arriving we've been on a quest for the cutest, most comfortable, and inexpensive shorts out this season. We are not going to lie, this was the easiest mission ever. Down south we are serious about our shorts. Almost as serious as we are about our flip flops. With warm temperatures filling the majority of our year, staying cool and comfy while maintaining style is key. We also recognize that trends change quickly, so while plain khaki, white, and denim are our staples, it's nice to be on trend without having sticker shock at the cash register. This season there are so many fun and fabulous options that won't break your wallet. Target's selection this year is amazing! Target is already a dangerous place, but with a women's department filled with gingham, eyelet, and bright colored twill, (and all for under $20!!) we might have to make a pit stop or two for more than just "groceries". You guys went crazy on Instagram over Carrie Beth's turquoise gingham shorts she shared, and that inspired us. From a 3inch inseam to chipper length, there's a little a short available for everyone in this fun summer pattern. Check out these fun gingham favorites. Another inexpensive, but beyond adorable, selection we have found this year is at Old Navy. Old Navy cuts are usually hit or miss on me, but that is the beauty of this retailer. They have approximately 3,472 different styles, so it is easy to find a cut that fits your body type. 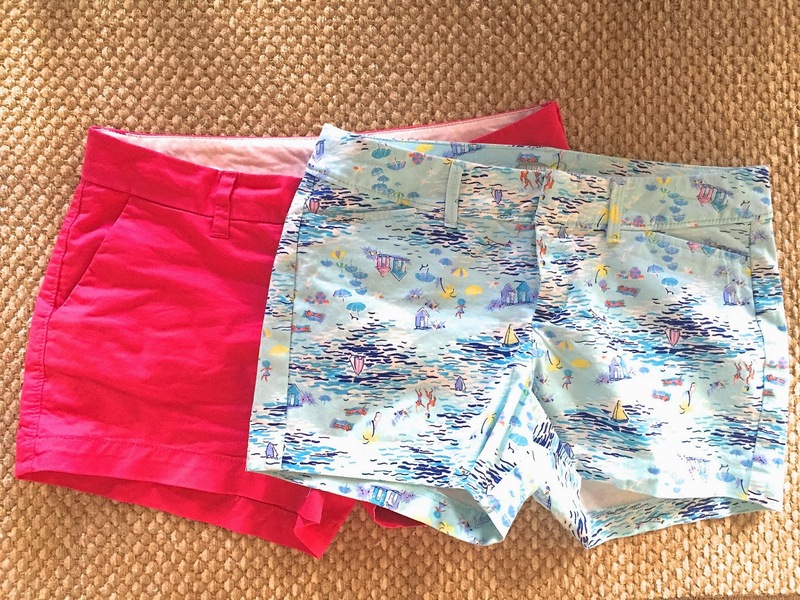 These twill shorts and Pixie shorts so far my favorite. I have a petite shape, and the length cuts are perfect for me. The Pixie are a little thicker in material and tend to hold their shape much better throughout the day. I just love the little scenes built into the pattern on the Pixie. Old Navy must be channeling their inner Lilly Pulitzer, famous for hiding fun little surprises into their patterns. And then if that's not enough, there are these nautical themed Forth of July ones. My heart swoons! For under $25, you just can't beat the price or the cuteness! A cute trend that we are more than excited to get behind is pull on shorts. Ladies, these things are comfy! I remember wearing maternity stretchy shorts and thinking, "Why can't I wear these all the time?". Well retailers have heard the cries of women everywhere and brought on the stretch. Classy and comfortable will always win with us. This linen pair is an absolute favorite and comes in a ton of colors. Ringing in at under $20, we call that winning! We've all have fallen in love with the playful and uber girly scallop hem trend. 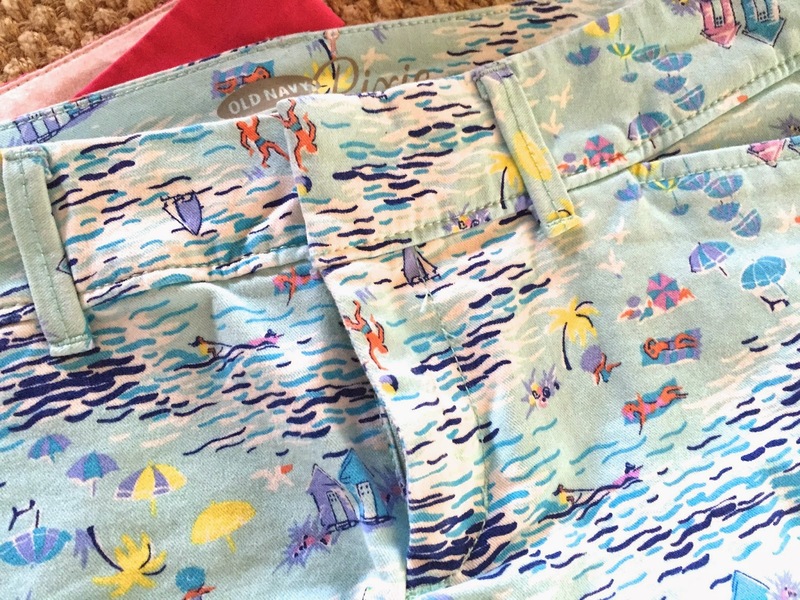 Our favorites at Lilly Pulitzer have been doing this for years, but sometimes $70 for a pair of shorts isn't feasible. We've found these super cute, less expensive options to fill our closets this season. The great thing about these options from Loft and GAP is they often have coupon codes available each week, bringing prices even lower. If they aren't on sale one day, check back the following. (Current sales as of 5/19 are: Loft - 40% off everything, GAP - 40% off summer kick off event). I seriously need to get to Target ASAP! They are killing it this year! My "most owned" shorts are JCrew. But I also love Lilly. I love j. crew! They always have so many fun colors.